On their previous album, Russia’s Romislokus moved in a more pop oriented direction, but with a sensual, slightly surreal tone to it, like the music of Brian Ferry or Ultravox. 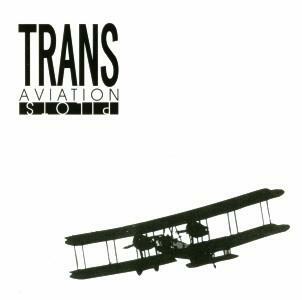 Trans Aviation Pilots finds them heading back into a bit more of a prog rock direction, though these songs are still definitely pop-oriented. This, however, is pop with muscle, with complex arrangements, diverse influences, and the characteristic Romislokus spaciness to it as well. The chops are tight, especially from the guitarist, and the production is first rate. And I was very happy to hear the haunting tones of Irina Yunakovskaya’s cello taking a more prominent role in the sound once again. Yuri Smolnikov continues singing mostly in English, but a few songs are sung in Russian as well. Song-wise, the title track is a definite knock-out, and one of the best things the band has ever done, with its funky, heavy guitar and thick atmospherics. Take My Heart displays Irina Yunakovskaya’s cello playing to maximum effect, giving the track a classic and romantic feel. The dark Being in a Plastic Box (one of the songs sung in Russian) was also a favorite. Computer Moon is a cool track as well, being a kind of bluesy space tune (also with lyrics in Russian). And Rocking Time, despite its title, ends up being one of the spaciest tracks on the album, with lots of quirky electronics. All in all, another strong release from Romislokus, though I would still like to hear them delve back into a bit more of the deeper prog rock leanings of their first album. But I would say this is their second best album so far, next to their original classic. Visit Romislokus at their web site: http://www.romislokus.com.